It’s the start to a new year, new beginnings, new years resolutions and new trends of course. With the festive season behind us and the thought of another year ahead, we have to think on our feet about ways to keep life interesting. We believe change is as good as a holiday and there is nothing stopping you from remodeling your home this year. With our Once a Year Sale currently running till the end of January, it’s the perfect time to get your hands on our wood-look tiles and introduce this look into your home. A fresh new look for a new year. Wood looks are trending, and we couldn’t agree more. This is an easy way to spruce up any home and add a touch of elegance. With our vast array of authentic looking tiles, you are sure to find a look and feel that compliments your home. We are well aware of the price of hardwood. Tiles are more affordable, more durable as they can withstand far more than reclaimed wood and can easily be cut to size so as to fit any location. Here are 4 reasons we believe wood looks are your best option when remodeling your home this year. Wood-look tiles are not just used for flooring anymore, these tiles can be applied in any room and used as floor tiles as well as wall tiles. This look works in any room inside as well as outside the home. You can implement the wood-look in your kitchen or lounge area to add a touch of texture while knowing that if they are spilled on or walked over excessively they will not be damaged. They can also be used on the exterior of your home to add a natural look and feel too. It has become a trend to use these instead of wooden decks as they do not need to be varnished and are durable in all weather conditions. These tiles, coupled with a large rug or throw compliment one another when paired correctly. Whether they are being used inside the house or to add a natural effect on the exterior of your home, they are easy to pair with paints, wallpapers and accessories due to their organic look and feel. 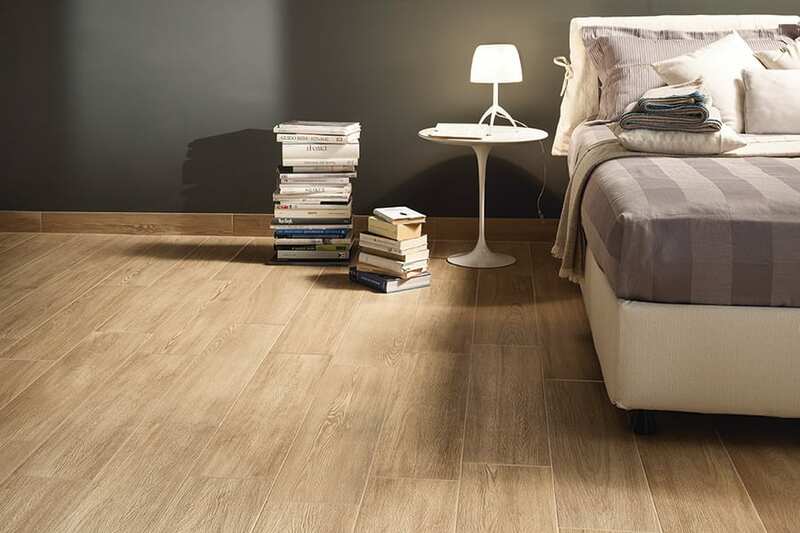 Wood-look tiles create a sense of luxury and warmth with their unique surface and wood grain effect. It is to your discretion as to what you chose to pair the wood look effect with, as this will transform the overall look and feel of your home and living space. With the current reclaimed wood-look tiles craze that so many designers are using in their homes, this clean tile effect will complement the refined look and feel with a touch modern elegance. This dynamic look is one that everyone is catching on to and is simple to implement into your home as you mix modern with antique. When covering a surface with tiles it is important that you plan the desired look prior to applying the tiles. Smaller tiles can be applied at random to create a sense of texture while introducing a focal point to a room or area, such as a centre wall above a fire place or backsplash in a kitchen or you can arrange them systematically to create a semblance of order and elegance. It is advised that larger tiles be arranged in patterns that are structured to create a clean look that has a flow. These rectangular tiles are easy to lay and compliment various other tile effects that you may have in the home due to their natural finish. If done correctly, you can bring cohesion into your home by linking living areas through correct use of tiling. By choosing a tile and colour tone that complement each other you are able to create consistency, which will make the home feel larger due to the clean impact and flow. These tiles do not need to be confined to “wet” areas as they have a finish complements all living spaces.